One of my first time experiencing riding my TX-400 bicycle ! 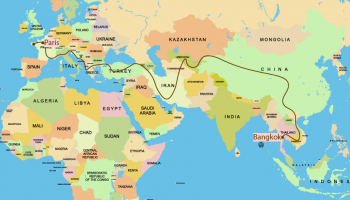 This road is traversing the Pamir Mountains through Afghanistan, Uzbekistan, Tajikistan, and Kyrgyzstan and is the only continuous route through the difficult terrain of mountains. The Jāmeh Mosque of Yazd. 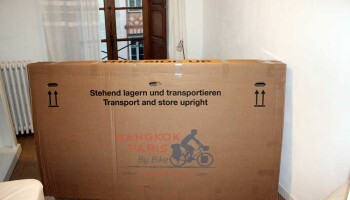 Bangkok-Rennes en vélo – Soirée de retour le 26 Juin !